The Oral-B Genius 9000 review was last updated in February 2019. I hope you enjoy the read. Please note you can only buy this toothbrush in the UK. The Oral-B Genius 9000 is Oral-B’s most exclusive, flagship electric toothbrush. It is a fantastic electric toothbrush, that I personally use on a daily basis and therefore I can give you an in-depth review of why I think this electric toothbrush is awesome. It is my current best electric toothbrush for sensitive teeth, best electric toothbrush for gum disease and best electric toothbrush for braces. You probably can already tell, I really like this toothbrush. As I am a dentist who has written about electric toothbrushes for over four years, I feel qualified to give you a fair review on what the Oral-B Genius 9000 does well and what it lacks. Feel free to leave me a comment at the end of the review, if you have a question or want to give some feedback. I read all the comments and reply to them personally. Product Description: The Oral-B Genius 9000 is an excellent toothbrush that is clearly the best in the Oral-B range. If you want an electric toothbrush that does it all, this is the one for you. The Oral-B Genius 9000 is a fantastic electric toothbrush that provides you with all the tools you need to maintain healthy teeth and gums. 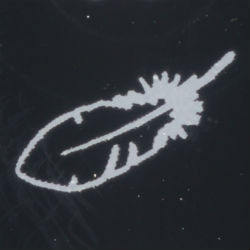 It does have a high price tag however, this is more than offset by the technology and usability of the brush. As Oral-B’s flagship electric toothbrush, the Oral-B Genius 9000 comes ram packed full of features. 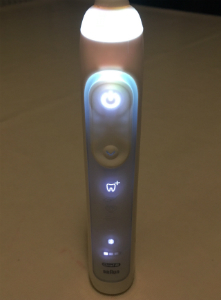 The front of the electric toothbrush handle has two buttons an on/off switch which gives good feedback when pressed and a downward arrow which changes between the cleaning modes. There are 6 cleaning modes in this model which are extremely easy to change between. The Oral-B Genius 9000 also remembers the last cleaning mode you put it on, so you do not have to constantly flick between them every time you turn on the brush. 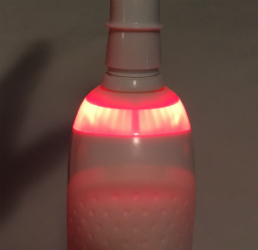 The front of the electric toothbrush lights up when turned on, which makes it easy to see what cleaning mode you are on. 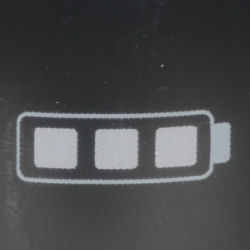 There is a handy battery indicator which accurately depicts if the battery is low. There is also an icon letting you know if the Bluetooth is switched on or off. 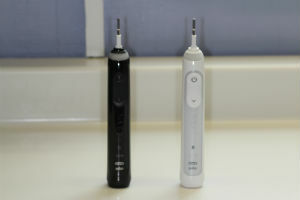 At the top of the brush is a thin metal rod that is used to connect the Oral-B Genius 9000 electric toothbrush handle to the brush head. 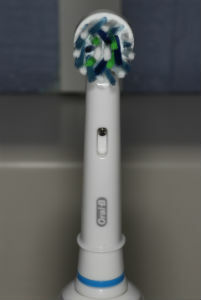 The Oral-B Genius 9000 is compatible with almost all of the Oral-B Brush heads. All the colours look very smart and stylish. Please note that the midnight black Oral-B Genius 9000 is the only model to come with a black travel case. The white, orchid purple and rose gold all come with a white travel case. 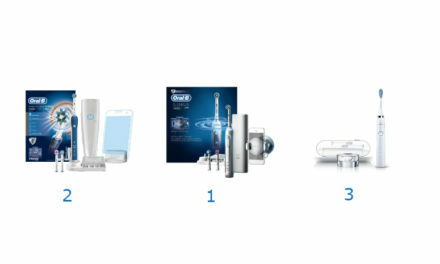 All the Oral-B Genius 9000 models come with a white smartphone holder and white charger, no matter the advertised colour. The Oral-B Genius 9000 box is pretty cool. 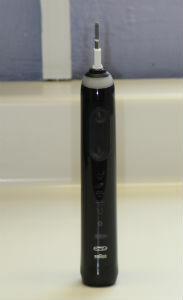 It has a magnetic flap that lets you see the electric toothbrush handle through the front of it. The Oral-B Genius 9000 features a two-minute timer with inbuilt quadpacer. This is an essential feature for any good electric toothbrush. The quadpacer is an on handle timer that “buzzes” every 30 seconds to indicate when you are supposed to change areas of your mouth. 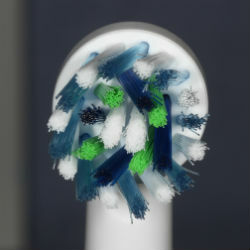 In daily clean mode, it also “double buzzes” when you have reached 2 minutes of brushing. Having a two-minute timer built into your toothbrush is extremely important. On average people only brush for 45 seconds, which has a seriously detrimental effect on your oral hygiene. If you only brush for 45 seconds then it will leave a layer of dental plaque on your teeth, which will ultimately lead to gum disease and tooth decay. The quadpacer means you will brush your teeth more evenly. Most people have a favoured side when brushing. 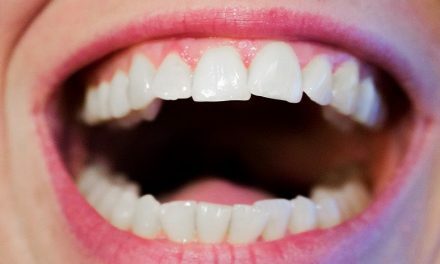 This means that one side of your mouth gets brushed well whilst the other side doesn’t. A quadpacer will remind you to regularly change areas leading to a more consistent clean. Click here if you need a guide to using an electric toothbrush properly. 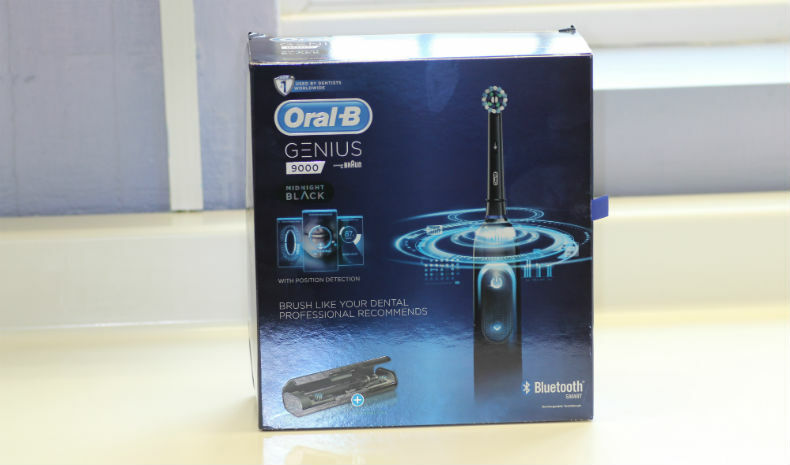 As with most high-end Oral-B electric toothbrushes, the Oral-B Genius 9000 comes with Bluetooth connectivity which links to the new and improved Oral-B App. The Oral-B App is available on both Android and Apple. It is so easy to set up and literally takes 30 seconds. 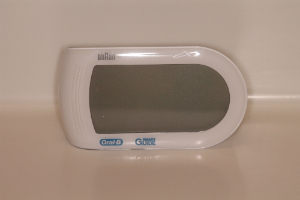 The Oral-B Genius 9000 comes with a smartphone holder that allows you to stick your smartphone to a mirror. With the Oral-B genius electric toothbrushes, they also come with position detection. 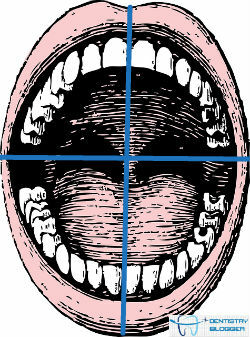 Position detection is where the electric toothbrush can tell which areas you have cleaned and which you have missed. 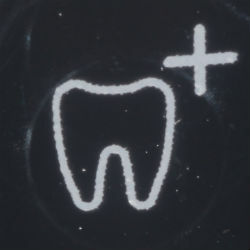 Areas which are frequently missed when brushing can lead to plaque accumulation and gum disease. For those who are not as tech savvy or do not have a smartphone, Oral-B used to produce a wireless smart guide on it’s top of the range models (see above). This has now been replaced been completely replaced by Bluetooth technology on the Oral-B Genius 9000. If you do want a wireless smart guide then I would advise having a look at the Oral-B pro 6500 or Oral-B Smartseries 6500. If you press too firmly with an electric toothbrush it can cause a type of footwear called toothbrush abrasion. This over time can lead to gingival recession and sensitive teeth. To prevent this from happening, Oral-B has installed a visible pressure sensor on the back of the electric toothbrush handle. To make this pressure sensor even fancier, Oral-B has made it completely personalisable with a 360 degree smart ring. This allows you to chose the colour that the ring changes when you turn the electric toothbrush on. To change the colour of the 360 degree smart ring it is really simple. After connecting the brush via Bluetooth to the Oral-B app, go to settings and click on toothbrush handle. Under visual, you will have a choice of 12 colours, click on your preferred one and voila it is set up. The whole process literally takes 20 seconds to do. I have mine set to purple at the moment. The Oral-B Genius 9000 uses the 3D Oscillating rotating motion of cleaning. I am a big fan of this mechanism of action as there is significant evidence that it cleans better than its nearest rival the Philips Sonicare. The Oral-B oscillating rotating motion oscillates, rotates and pulsates. 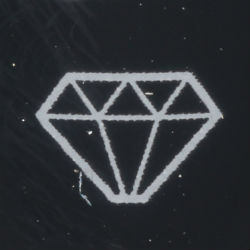 This gives it a three dimensional clean which would be exceptionally difficult to replicate with a manual toothbrush. 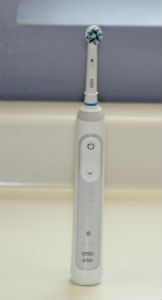 It has 6 cleaning modes that are chosen by clicking the downward arrow on the front of the electric toothbrush handle. The Oral-B Genius 9000 also remembers the last mode you put it in, saving you the time of having to click through the modes to get to your favourite one. This is the first clean mode that comes on when you press the on/off button. It is the standard cleaning mode that the vast majority of people will use most of the time. The cleaning cycle lasts for the dentist recommended 2 minutes and oscillates 8,800 times and pulsates 40,000 times per minute. 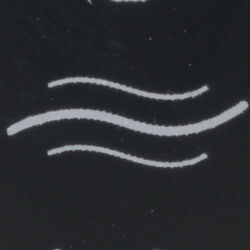 This is a 2 minute cleaning mode that is aimed at looking after your gums. In gum care mode the electric toothbrush will pulsate from 2,600 to 8,800 oscillations and 12,000 to 40,000 pulsations. I almost never use this cleaning mode, because there is little evidence that it actually is beneficial for your gums. Some dentists actually recommend using this as your standard daily clean. This is because the sensitive mode is less powerful than the daily clean mode. The Oral-B Genius 9000 is sensitive clean mode oscillates 6,500 times and 30,000 pulsations per minute. I think that sensitive mode is good for people who tend to press too firmly with their electric toothbrush or have sensitive teeth. This sensitive mode is good when combined with the Oral-B Sensitive Brush Head. The whitening mode on the Oral-B Genius 9000 lasts for 2 minutes and 20 seconds and is designed to polish your teeth. There is very little difference between this cleaning mode and daily clean mode. In fact, daily clean mode is better because it lasts for the correct amount of time. The deep clean mode is a longer duration daily clean mode lasting 3 minutes, 45 seconds each quadrant instead of 30 seconds. It oscillates 8,800 times and 40,000 times per minute. This can be useful if your teeth feel particularly grubby however should not be used too often. Brushing for too long frequently can cause unnecessary toothwear and gum recession. The Oral-B genius 9000 can be used to clean the tongue and cheeks. The tongue can harbour bacteria that leads to bad breath. The tongue cleaning mode lasts for 20 seconds oscillates 7,300 times and pulsates 33,000 times per minute. The most useful brush head, in my opinion, is the cross action brush head due to the angulation of the bristles (16 degree angle) and the small size of the brush head. 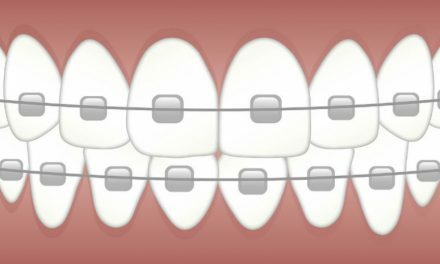 This allows the cross action to clean easily around the gum line and also makes it manoeuvrable enough to reach even the hardest to reach molars. The Oral-B Genius 9000 comes with an extended battery life which has often been the downfall of the Oral-B range. This electric toothbrush comes with a 2 week battery life when used twice a day for 2 minutes. This is extremely convenient as it means less downtime. The lithium-ion battery that the Oral-B genius 9000 uses also charges extremely quickly taking around 5-6 hours from flat. This means you can leave it to charge overnight and it will be ready to work for another 2 weeks in the morning. 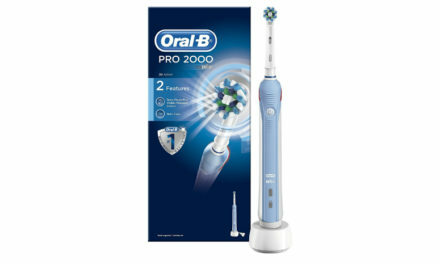 The battery indicator light on this model is much improved compared to the cheaper Oral-B pro electric toothbrushes. 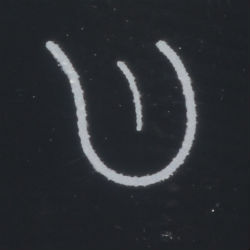 The Oral-B Genius battery indicator light lets you know well in advance before it needs charging and is very accurate. When I used to use the Oral-B Pro 2 2500, I would sometimes go to use it and it would be flat because the indicator light would not give you fair warning. 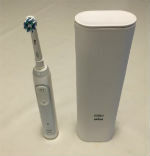 The charging station featured on this electric toothbrush is similar to the ones featured on the old Oral-B Triumph. It can hold up to four separate brush heads which is extremely useful for multiple users. As with all Oral-B chargers it comes with a standard 2 pin plug. This means that unless you have access to a shaving plug, you will need to purchase a 2pin to 3pin adaptor. These can be bought easily from any decent hardware store or Amazon. This is the adaptor that I recommend on Amazon. 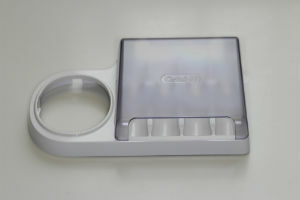 The Oral-B Genius 9000 comes with a beautiful, soft touch, premium travel case. 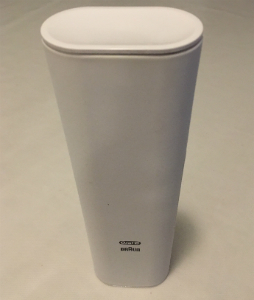 It provides good protection to the electric toothbrush handle on your travels and also serves as a charger for your electric toothbrush handle and has a USB port to charge your smartphone. This feature is unique to the Oral-B Genius 9000. The travel case also houses two brush heads for you to use on the handle and comes in two colours either white or black. The only model to come with the black travel case is the new midnight black edition Oral-B Genius 9000. 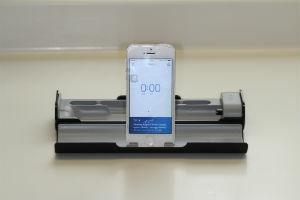 The travel case can also hold your smartphone so that you can use your position detection and Bluetooth connectivity when you are on your travels. 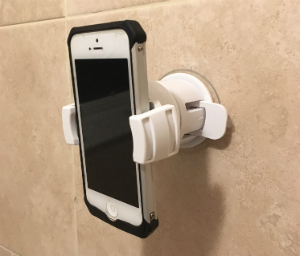 This means that you do not need to take your smartphone holder with you. The Oral-B genius 9000 handle is slightly heavier than the cheaper Oral-B models like the Oral-B Pro 2500 however not prohibitively so. It is still easy to carry around with you in your back pack, hand luggage or suitcase. The Oral-B Genius 9000 currently costs £128.00. For a top of the range electric toothbrush this is about right as it’s direct competitor the Philips Sonicare Bluetooth Flexcare Platinum Electric Toothbrush is £145.99. The running costs are cheaper than the Philips Sonicare toothbrush as the brush heads are almost half the price. Each brush head needs replacing every 3 months meaning it works out about 3p per day. The Oral-B Genius 9000 also comes with a 2 year warranty that can be extended up to 3 years by registering the product on the Oral-B Website. Mine is coming up to the 2-year point and is still going strong. There is no reason why the Oral-B Genius 9000 cannot last far longer than the warranty. It is built quite robustly and has fantastic build quality. Does the Oral-B Genius 9000 come with Bluetooth connectivity? How does the Oral-B Genius 9000 compare to Sonicare? I did a general comparison on Oral-B vs Sonicare and found I preferred Oral-B. If you want a detailed article about this then would recommend highly checking it out. The Oral-B Genius 9000 is my current favourite electric toothbrush so would highly recommend it. It is also the electric toothbrush I personally use on my own teeth, that really says it all. Does Oral-B run a subscription service? No Oral-B does not run a delivery subscription service for brush heads. This type of service is becoming more and more popular for electric toothbrushes. Amazon does offer a subscribe and save regular delivery for Oral-B CrossAction Brush Heads so would recommend checking that out. If you want an electric toothbrush that is designed around its subscription service, then I would recommend checking out Quip or Ordo. Can you use the Oral-B Genius 9000 in the shower? Yes the Oral-B Genius 9000 is waterproof and can be used in the shower or the bath. I would recommend brushing your teeth in front of a mirror. This is because it will make you brush your teeth better and the Oral-B Genius 9000 smartphone holder requires a mirror to use grip hold of. What colours does the Oral-B Genius 9000 come in? The Oral-B Genius 9000 comes in midnight black, white, orchid purple and rose gold. How many brush heads does the Oral-B Genius 9000 come with? It comes with four brush heads, cross action, sensitive, floss action and sensitive. What is the difference between the Oral-B Genius 9000 and Oral-B Genius 8000? 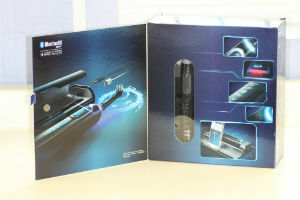 The Oral-B genius 9000 comes with a travel case that can charge a smartphone and the electric toothbrush handle. The Oral-B Genius 9000 also comes with a tongue cleaning mode. We compared the Oral-B Genius 9000 with the Oral-B Genius 8000 here. What toothpaste should I use with the Oral-B Genius 9000? The most important thing with toothpaste is to make sure that the toothpaste contains fluoride in it. That is the most important ingredient. Out of all the toothpastes on the market, the two toothpastes I particularly like are Colgate total and Oral-B Pro Expert. The Oral-B Genius 9000 is an excellent toothbrush that is clearly the best in the Oral-B range. If you are looking for an electric toothbrush that provides you with the best tools to clean your teeth, this is the brush for you. Although the brush is on the expensive side, it is well worth the money especially when compared to it’s main competitors. It provides great value for money and the technology within this toothbrush is second to none. Thank you for reading my Oral-B Genius 9000 review. If you have any questions in regards to the product or just fancy writing me a message, then please leave a comment in the comment section below. I read all the comments and try to respond to them all. Summary The Oral-B Genius 9000 is a great electric toothbrush. If you are looking for the best electric toothbrush money can buy, this is the one for you. I’m extremely impressed with this extremely helpful review of the extremely awesome brush from the extremely reputable Oral B range. Thank you Mick for the compliment. Is Oral-B Genius safe to use on veneers..
Hi Dotty great questions. Yes you can use the Oral-B Genius on veneers. If the veneers were to come off, they were likely loose anyways.